unless stated otherwise in the bulletin. MYTH: I go to Church on Sunday's, isn't that enough? TRUTH: Jesus asks us to livve our faith all the time, Small Church Communities provide a much needed boost. Provides environment where joys/insights/concerns are shared. If you would like to join a Small Group, please click here to print and fill out the form.You can return the form by putting in the Sunday collection basket or by returning it to the parish office. Please feel free to contact Sister Bernadette at (714)867-1513 if you have any questions. Stop by and check out our new releases! Sister Bernadette with her afternoon bible study group. They are discussing Stewardship of the Earth. 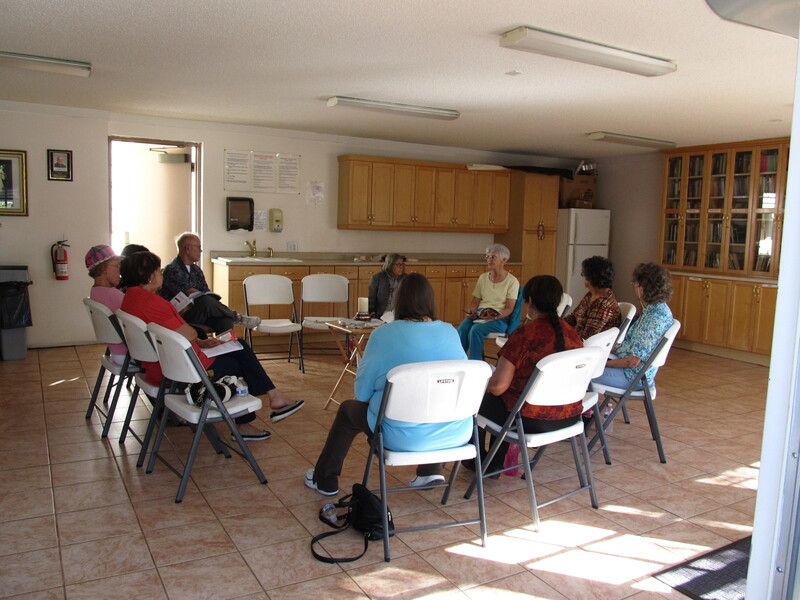 Sister Bernadette hosts bible study on Tuesday afternoon's and Thursday evenings. For more information please contact Marge Tavarez at (714) 537-7384. Our Taize Prayer service is trilingual we chant in English, Spanish and Vietnamese. Check our events calendar for dates and times of Taize Prayer.